Most of the health plans these days offer the ‘restoration benefit'. It is just like a ‘magical backup’ to recharge your exhausted sum insured.In case the entire cover is exhausted, it gets replenished automatically for the next hospitalization that occurs within the policy year. 'Restoration Benefit' is a term that you may have come across when looking to buy a health insurance policy. It is a benefit that allows an insured to reinstate the entire sum insured in the policy year when it gets exhausted due to incurred claims. Most of the health plans these days offer the ‘restoration benefit'. It is just like a ‘magical backup’ to recharge your exhausted sum insured. In case the entire cover is exhausted, it gets replenished automatically for the next hospitalization that occurs within the policy year. Under family floater plans, in which the sum insured is shared by all the family members, there is a higher probability that the entire sum insured may get exhausted due to a serious illness or injury of a member, leaving other family members vulnerable without a health insurance cover. In this situation when the sum insured is completely exhausted, sum insured restoration proves to be of great help not only to family floater policies but individual health insurance policies, equally. For instance, you have purchased a health plan with a sum insured of Rs 3 Lakh. In case, you are diagnosed with a serious illness that incurs the medical expenses of Rs 2.5 Lakh. If you are again hospitalized after 2 months, and the medical bill costs Rs 2 Lakh, in this situation you will get the cover of Rs 50,000 and the remaining amount of Rs 1.5 Lakh needs to be paid from your pocket. If you opt for a health insurance plan having restoration benefit, it will pay the entire medical bill of Rs 2 Lakh and you don’t need to worry about medical bills. There are several health insurance plans available in the market, offering restoration benefit, but before buying a plan you need to understand the strings attached. Following are the key conditions that apply to ‘Sum Insured Restoration’ benefit. The restoration/reinstatement benefit is available for future claims that are not related to any illness or injury for which a claim has already been paid admitted during the same policy year. Mr. Raj Ahluwalia was diagnosed with cancer and underwent a chemotherapy that costs him the entire sum insured of Rs 5 Lakh. However, if he needs to undergo further chemotherapy sessions, the sum insured restoration will not be triggered, as the future claim will be related to the same illness/treatment for which he had previously claimed. Whereas after a month within the same policy year, he met with a vehicular accident that developed a fracture. With the help of a sum insured restoration benefit, the health insurance plan will take care of the medical expenses of Rs 50,000. The second instance of hospitalization is due to an accident and not for chemotherapy, in such a case restoration benefit will be triggered. One of the most important conditions associated with the restoration benefit is that it is never available for the first claim during a policy year. Very few plans offer this benefit in case of the first claim but only for an accidental hospitalization. Mr. Ahluwalia had a health insurance policy of Rs 5 Lakh and admitted a claim of Rs 6 Lakh, being the first claim, he will not be able to take the benefit of restoration even after exhaustion of the sum insured. In this first claim, the policy will cover the claim amount of Rs 5 Lakh and the remaining amount, i.e., Rs 1 Lakh has to be paid from his pocket. However, he will get the “restoration of the sum insured”, which can be utilized for the subsequent claims during the same policy period. Most health policies offer restoration/reinstatement, only upon complete exhaustion of the sum insured. Some health plans, however, provide flexibility to utilize the restoration of sum insured even in case of partial exhaustion of the base sum insured as well. It is important to check this clause before buying. A. Complete exhaustion of sum insured: This type of restoration benefit can only be utilized when the entire base sum insured gets completely exhausted. In case of Mr. Ahluwalia (having Rs 5 Lakh sum insured), if the first claim is of Rs 4.8 Lakh, the policy still has Rs 20,000 sum insured which is not used up. For the next hospitalization that incurs a medical bill of Rs 40,000, the restoration benefit will not trigger as the base sum insured is not completely exhausted in the first claim and the policy still has Rs 20,000 when the second claim arose.The restoration of sum insured will be triggered in case of next claim, during the same policy year. B. Partial exhaustion of sum insured: This restoration condition, works in favor of the insured. Health plans having such restoration benefit will restore the entire sum insured on partial exhaustion of the base sum insured. You need to check which type of restoration benefit is being offered under the health insurance plan, you are seeking to buy. It is advised to pick a health policy that offers restoration on partial exhaustion of sum insured. It always comes to your rescue, even when your health cover is partially exhausted. In case your sum insured is restored in a policy year, the restored sum insured cannot be carried forward to the next policy year if it is not consumed in the same policy year of restoration. “Sum Insured Restoration” benefit provides an option to reinstate the entire sum insured, in case it gets exhausted during a policy year. 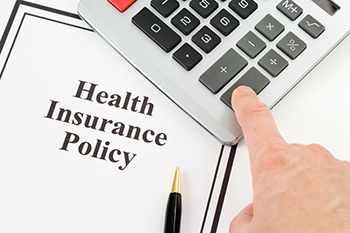 It works well both to floater policy and individual health insurance policy, as it gets restored upon exhaustion upto the limit as specified under the policy chosen.You only need to understand the conditions applicable on restoration benefit and choose a policy that provides better and wider coverage upon optingrestoration of sum insured. The author, Harjot Singh Narula is Founder and CEO, ComparePolicy.